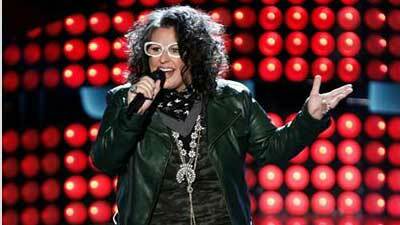 Sarah Potenza is a 34-year-old singer/songwriter hailing from Smithfield, Rhode Island. Before her career, Sarah attended Rhode Island College studying music. In 2003, Sarah began her career after moving to Chicago, with the formation of her band, Sarah & the Tall Boys. Soon after their formation, Sarah & the Tall Boys became a regular highlight on the local club and bar scene. After a very successful nine years in Chicago, Sarah and her husband, Ian Crossman, moved to Nashville to help Sarah build her music career. Currently, Sarah is a contestant on NBC&apos;s hit show "The Voice," making her national debut. After a stunning audition and amazing performances, Potenza has successfully worked her way into the Top 20 on Team Blake. Show your support by tuning into "The Voice" on NBC on April 6-8, 13 and 14 at 8 p.m. and, of course, do not forget to vote! Learn more about NBC&apos;s "The Voice" by clicking here.